We want to enhance riding fun for all. Ergonomics combines the holistic connection of rider and bicycle in motion. Different categories of bikes, disciplines and demands ask for special ergonomic saddle solutions. 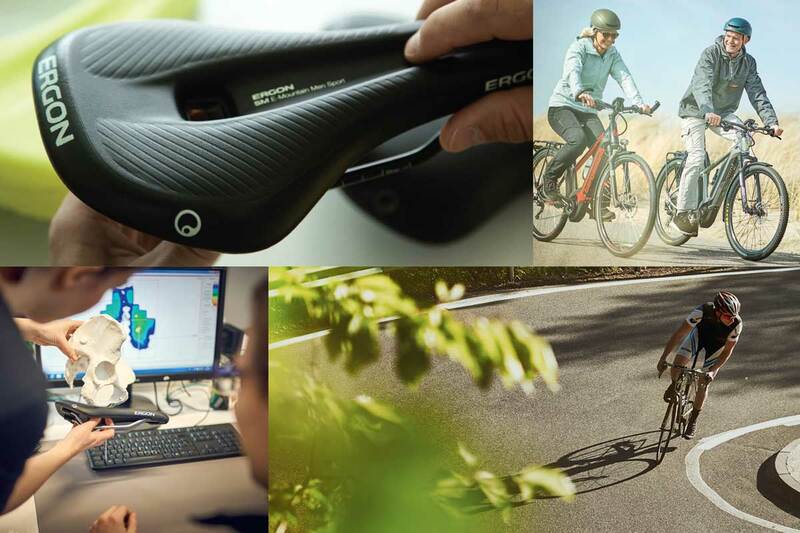 Ergon develops high quality products allowing the rider and bike to become closer to one. Help your customer find the perfect saddle width for them. 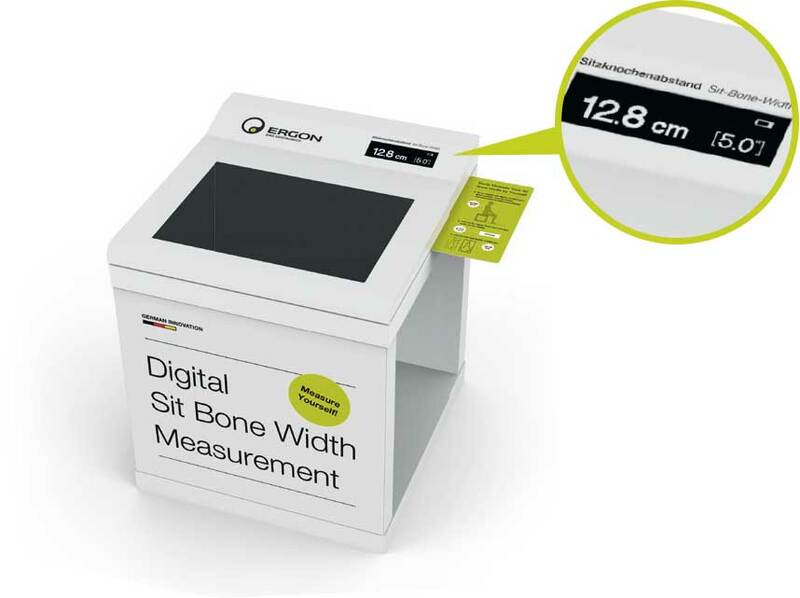 Sitbone Measurement System TS1 Digital from ergonbike on Vimeo. Men’s Series - Ergonomically developed specific call for Men. Men no longer need to live with discomfort when riding. 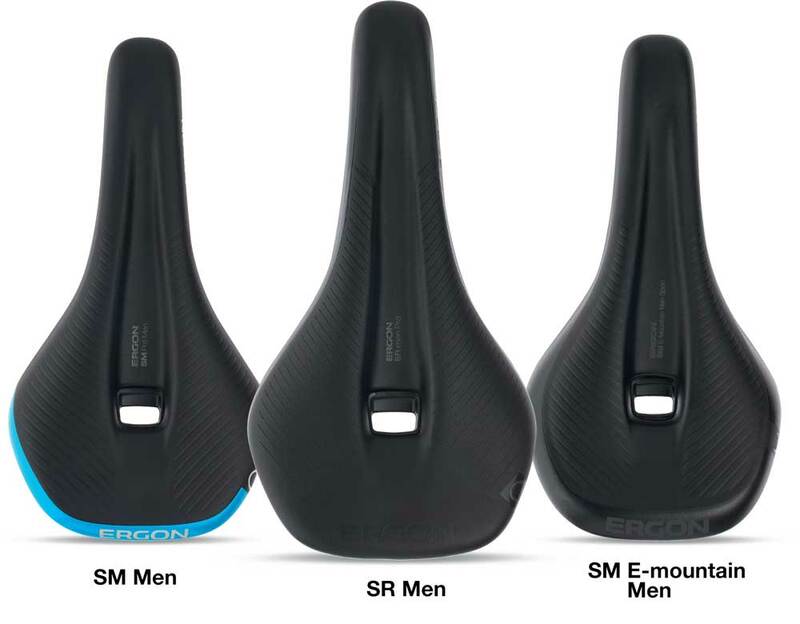 The new Ergon Men’s Series saddles are specs call tailored to the male anatomy and optimized for the requirements of mountain / road / e-bikes. This new generation of pressure-relieving saddles will change the way men enjoy cycling – at every level. 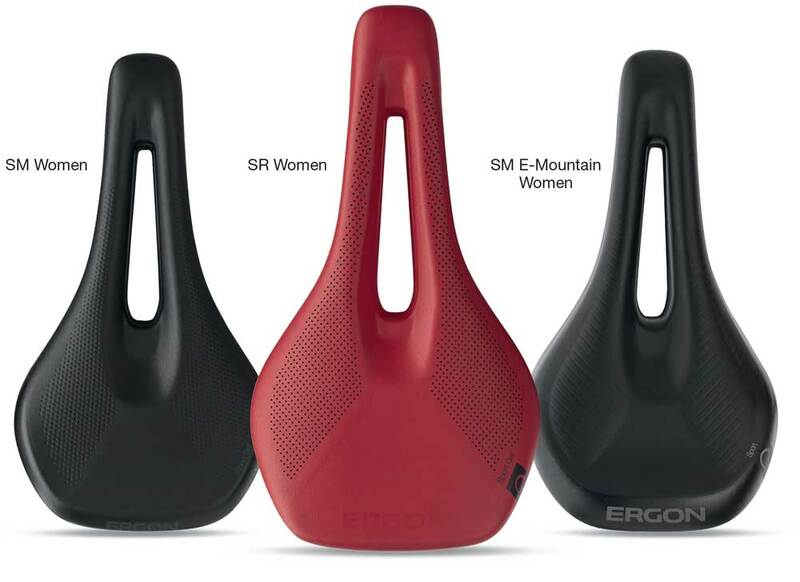 The ergonomic saddle revolution for touring bikes ensures long distance comfort for men and women. The rating concept with Ergonomic Core supports the natural pelvic movements while pedaling, actively relieves the sit bones, and reliably dampens bumps caused by the road surface. Based on the ST Core prime our new ST Gel (Saddle Touring) are designed for the more cost conscious rider. The orthopedic comfort foam provides a high level of support and comfort for male and female touring cyclists alike – even on long distance rides. Women’s Series - Ergonomically developed specific call for women. Ergon’s R&D Team conducted extensive research on the female anatomy using X-ray and CT analysis to develop a new approach to solve the problems and t issues women experience with gender specific sports saddles. Partnering with World Champion Pauline Ferrand Prévot’s Canyon / SRAM UCI race team – with the help of many workshops and training camps – we’ve developed the most comfortable women’s specific saddles on earth. 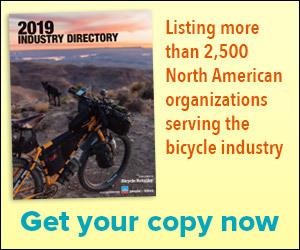 Visit our online saddle selector and ergon-bike.com/en for more information.